Devotees after landing Kathmandu get three days to see and enjoy this beautiful city of Nepal. Two days are spent at Lhasa, a picturesque place in Tibet. Devotees take the route of Lhasa, Gyantse and Shigatse to reach Manasarovar for the holy dip and offering prayers. Devotess reach the venue of Maha Rudra Homa at Darchen to witness the sacred ritual and chantings. Parikrama of going round Mt. Kailash begins at Darchen, the Maha Rudra Homa venue. 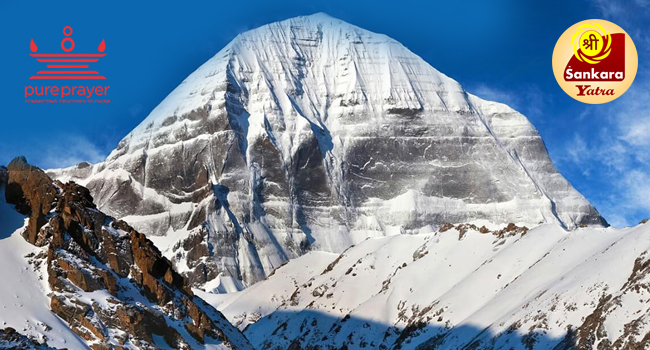 Route taken for Parikrama is through Diraphuk or Zuthulphuk depending on the weather. Devotees head back towards Kathmandu with stops to get adjusted to the region and are dropped in the city of Kathmandu. This is an 17 Day package.